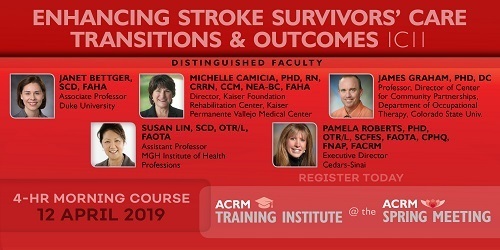 Look who's coming to ACRM 2019! 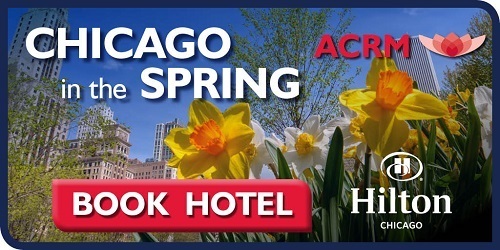 Need a room for the Spring Meeting? L300 Go is a functional electrical stimulation (FES) system that satisfies the productivity demands of today’s value-based healthcare system. Key aspects of the L300 experience have been dramatically improved with 3D motion detection, multi-channel stimulation, Bluetooth ® programming and a home user mobile app. 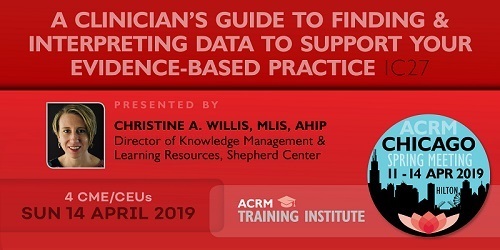 Watch this column weekly for announcements and key dates important to members who plan to present educational content at an upcoming ACRM Conference. For more information please visit the Presenter Resources. 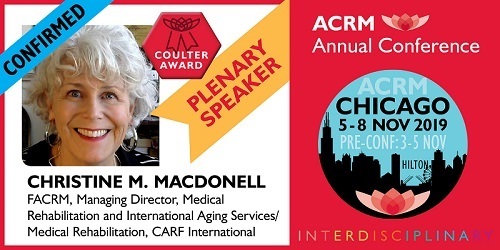 Don’t miss this opportunity to present your research to an interdisciplinary audience of rehab professionals from around the world at the ACRM 96th Annual Conference in Chicago, Illinois, 5 — 8 November 2018. 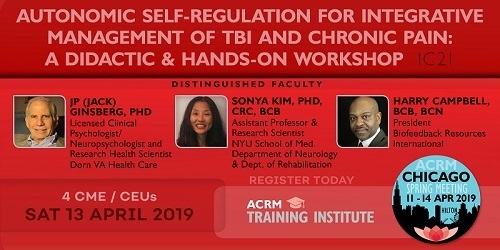 Proposals will be accepted through 9 April. 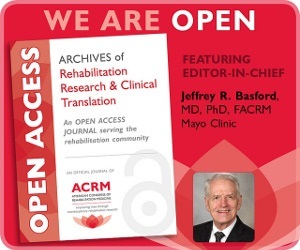 Abstracts of all accepted papers and posters are eligible for publication in the Archives of Physical Medicine & Rehabilitation. 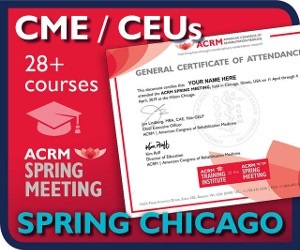 Additionally, posters may be considered for one of 19 Program Committee or ACRM Community Group-sponsored awards. 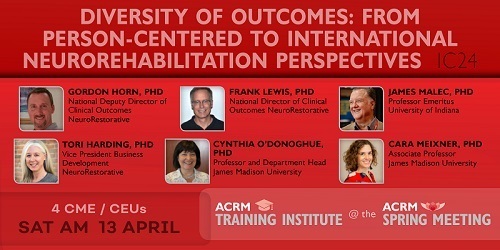 The February 2019 #RehabCast, Episode 22, from the Archives of Physical Medicine & Rehabilitation features Dr. Samantha Backhaus's work developing a novel intervention for couples where one partner has a brain injury. The work led to a randomized trial, the first of its kind for a form of couples therapy targeting acquired brain injury, and is published in the February Archives. Are productivity goals in rehabilitation practice associated with unethical behaviors? 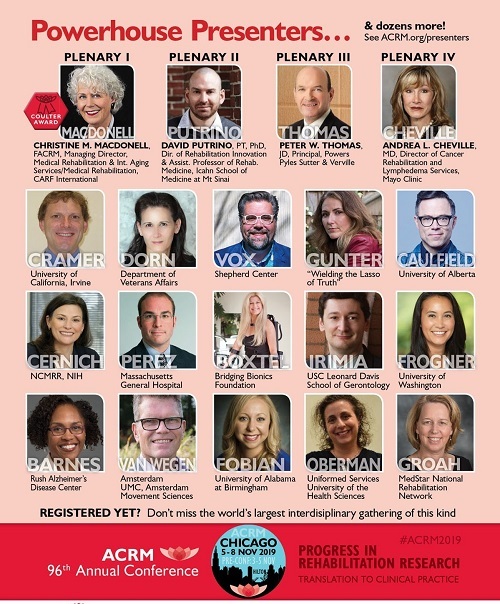 Watch ACRM eNews weekly to learn about the exciting line-up of exhibitors coming to the ACRM 2019 Annual Conference EXPO in Chicago. Providing introductions to the latest technologies, products, and services, the EXPO is a valuable extension of your conference experience. 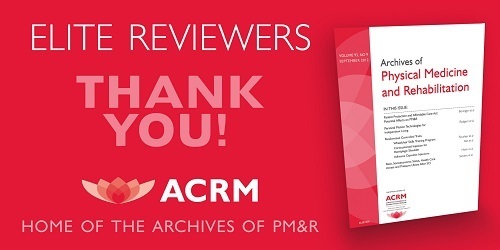 To learn how your organization can exhibit with ACRM, please contact Jenny Richard at jrichard@ACRM.org. Encompass Health offers facility-based and home-based patient care through its network of inpatient rehabilitation hospitals, home health agencies and hospice agencies. With a national footprint that spans more than 130 hospitals and 273 home health & hospice locations, the Company is committed to delivering high-quality care across the post-acute continuum. Mayo Clinic is the largest integrated group practice in the world. Mayo Clinic Rehabilitation Medicine Center is a place for discovery, translation and application of rehabilitation sciences. Inpatient and outpatient rehabilitation care enhances functional ability and quality of life provided by a multidisciplinary practice. 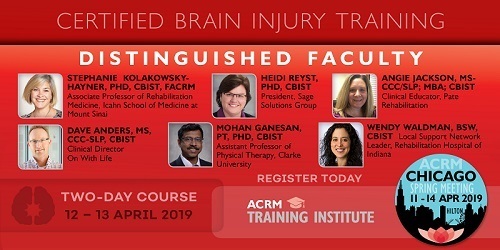 The Model Systems Knowledge Translation Center (MSKTC) is a federally-funded center that offers free factsheets, videos, slideshows, and other resources for people living with spinal cord injury (SCI), traumatic brain injury (TBI), and burn injury (Burn). Welcome to the research study! 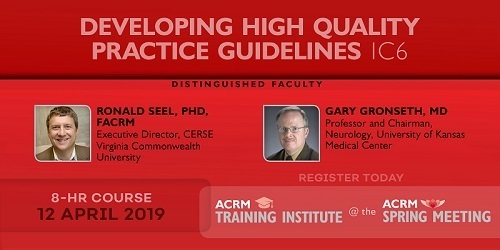 The Geriatric Rehabilitation Networking Group is pleased to announce the approval of two poster awards to be given during the ACRM Annual Conference in Chicago this fall. Proposals for scientific posters and papers will be accepted through 9 April. Follow the link for complete details and submit today. This award is designed to acknowledge outstanding scientific contributions in the field of geriatric rehabilitation. 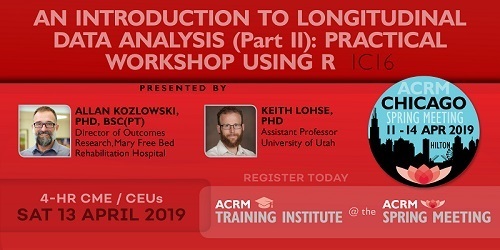 It will be given to a researcher who is first author of a poster presented at the annual conference, which addresses important issues related to policy, practice, research methods, or education, in the rehabilitative care of older adults. 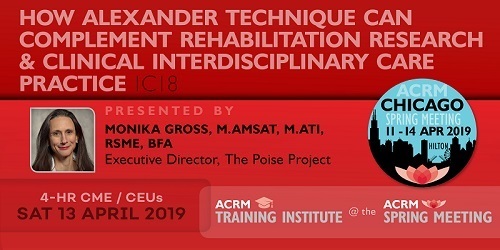 This award is given to a researcher within the first 10 years of his or her career who is first author of a poster in the area of Geriatric Rehabilitation Science presented at the annual conference. 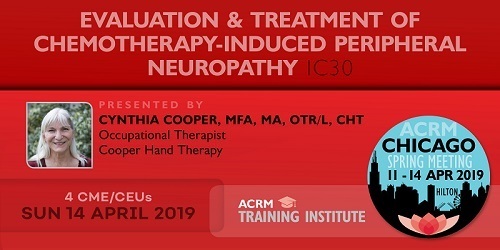 The Technology Networking Group is pleased to announce the approval of two new poster awards to be given during the ACRM Annual Conference in Chicago this fall. Proposals for scientific posters and papers will be accepted through 9 April. Follow the link for complete details and submit today. This award will be given to a researcher who is first author of a poster in the area of technology exhibited at the annual conference. 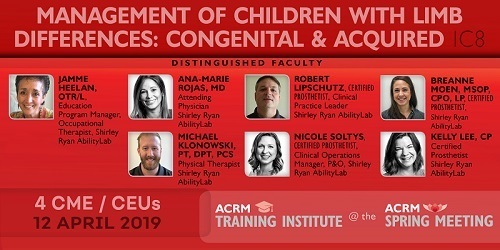 This award will be given to a researcher in the first 10 years of his or her career, who is first author of a poster in the area of technology exhibited at the annual conference and judged on its merits across several areas of topic relevance and importance. 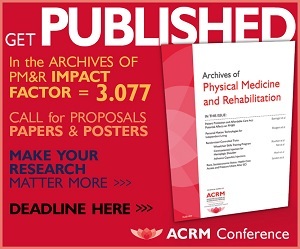 The ACRM Call for Oral Paper Presentations and Scientific Posters has been EXTENDED through 9 April. Have you submitted yet? 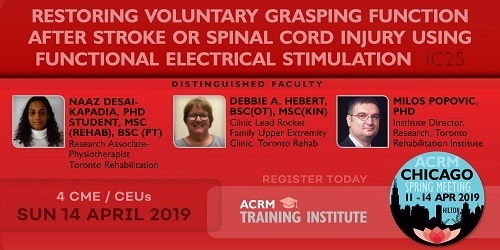 The Measurement Networking Group plans to recognize three outstanding posters presented during the ACRM 2019 Annual Conference in Chicago with the following prestigious awards. Submit an abstract today for a chance to distinguish your work with an MNG Poster Award. 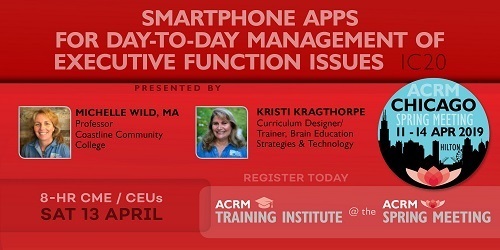 MISSED AN ISSUE OF THE ACRM eNEWS? VISIT AND SEARCH THE ARCHIVE TODAY.